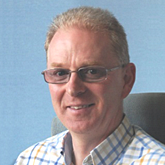 Professor Greg Hughes holds a PhD in surface science from the University of Ulster. A1:D43 two years post-doctoral research at IBM Yorktown Heights, he joined the School of Physical Sciences at DCU. He spent the 1993/94 academic year at the TU Berlin on a Humboldt fellowship. He was Head of School of Physical from 2009 to 2012, was appointed full professor in June 2014 and took on the role of Interim Vice-President for Research and Innovation in July 2016. He has published over 150 papers in the field of surface science and has supervised 18 PhD students through to completion.